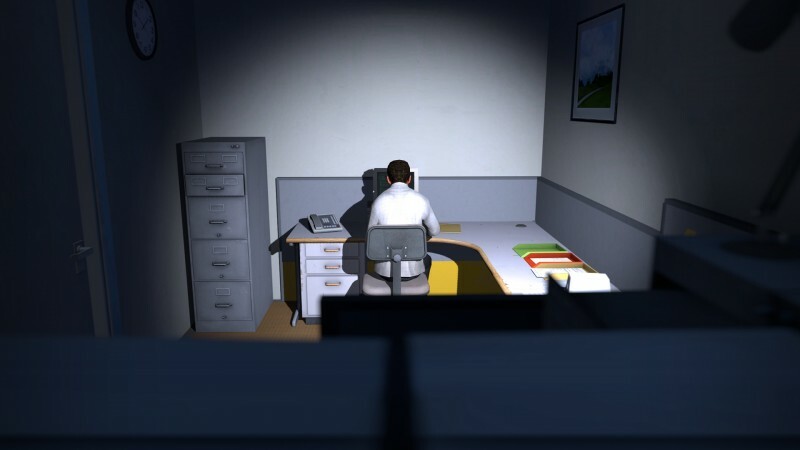 When The Stanley Parable launched in 2013 on PC, it had a number of very odd achievements. One achievement, titled Unachievable, literally could not be gotten. There was no way in the game to trigger that achievement. In a testament to how easy it is to cheat for Steam achievements, 4.4% of players have unlocked it. Another achievement, Go Outside, requires not playing The Stanley Parable for five years. This means that if you bought the game at launch, enjoyed the narrative title in the single sitting it is best suited for, and never played it again, you can legitimately unlock the achievement today. The Stanley Parable creator Davey Wreden confirmed the timing today. Of course, as far as Steam is concerned, plenty of people already have this achievement, because cheating. But I also doubt anyone ever intended to specifically get this, it's just a happy accident if you do. If you do launch Stanley Parable today ahead of your five-year mark, you reset the timer and will have to wait another five years. Thankfully, Steam does more or less tell you the last time you opened your game, unless you've made some major hardware changes in the last five years, which you almost certainly have. What is the most time you have ever spent on an achievement or trophy? I think for one Tales of Vesperia achievement, I left the game on auto-battle for two days while characters did fatal strikes to enemies but had skills that only let them do 1HP. Thinking about it, that probably hastened the end of my 360's life by quite a bit.